If you're facing trouble in using your administrator account, here is how to reset built-in administrator account in Windows 10. If we talk about system administrator account, its the account which have privileges to control whole Windows OS operations. However, there are two type of administrative accounts, actually. The first one, which you created just after installing Windows is called built-in administrator account. The other administrator accounts you create using built-in administrator can be treated as secondary administrator accounts. Well, built-in admin and secondary admin accounts are slightly different from one other, from the security and permissions point of view. But if you’re facing issues with your built-in admin account, then the secondary admin accounts you created can help you to reset the former one. This straightforward article will tell you the way to reset built-in admin account, so that the problems you’re facing on it can be suppressed. 2. Previous step will result booting of your system in Command Prompt mode and you’ll be taken to following screen. Now carefully choose here the secondary admin account, instead of built-in admin account. This will help you to identify the exact letter assigned to your system hard drive running Windows. In our case, it was D: drive. In our case, since the drive letter was D, we typed RD /S /Q D:\Users\Administrator. Once this command is successfully executed, you can close Command Prompt and restart your machine to boot into normal mode. 5. Press + R and put regedit in Run dialog box and hit Enter key to open Registry Editor. Once you’ve deleted the key, reboot the machine and log-in to built-in admin account. Thus registry key we deleted will be regenerated automatically by the system. Hence in this way, we’re done with resetting built-in admin account. That’s it! Go here to learn how to show or hide “Administrative Tools” in Windows 8.1. I am trying to change settings on my pc in windows 10 and it keeps asking for an administrator password . there is nowhere in the pop up box to type a password, it only gives me the option of choosing no. ^^ You’re not in Windows/system32 folder. Also check the command and make sure to use correct drive letter. ^^ Ok, so what its ProfileImagePath corresponds to? Hello Kapil Arya, You need a reality check, Sorry to say, you do your examples from a Administrator access point of view and giving info and suggestion: that does and/or do not work, Is it possible for you to lock your Admin access password ( means you only have guest access). My Windows 10, wants or demand a Administrator Password to do anything I do. The last Windows10 Final Update has failed and removed my (me as a user) and my backup or recovery want a Admin password. Looks like Windows 10 turned into junk! 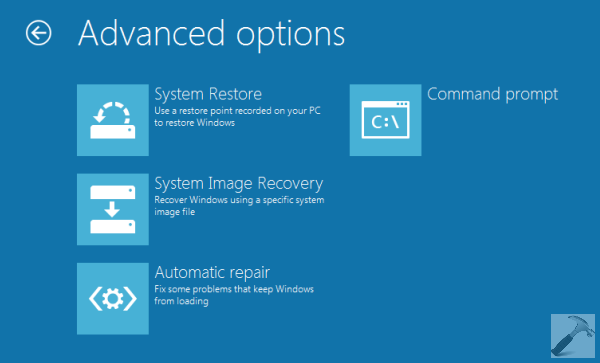 My last Windows 1o Final Update lost my restore point – recovery. Does your support team work or do I need to talk to the CEO from the top down. Reply requested, Thank you for your time to read and give a valid fix. Hi Kapil. In Command Prompt there are no “Other Admin accounts”. The only Account is Administrator. I followed your steps using the Admin account though I did not delete the ProfilemagePath C;\Users\Administrator as I am unsure if I should or not. Can you please advise on next steps. Thanks in advance for yor reply. ^^ Alright, try booting to Safe Mode and perform the steps then. ^^ Please verify the boot order in BIOS settings and give first preference to your hard drive.